A warm welcome to tonight’s concert, which, fittingly for Valentine’s Day, is infused with poeticism and romance. Two intertwined solo violins – none other than our extraordinary Yosuke Kawasaki and Jessica Linnebach – open the program in Jocelyn Morlock’s Cobalt, a fluid, touching rendering of the night sky moving into darkness. From this darkness appears Chopin’s lyrical, delicate and personal Piano Concerto No. 2, written at the tender age of 20, while in the throes of a romantic infatuation, brought to longing expression in the exquisite second movement. I am particularly delighted that you will hear this work in the hands of my friend David Fray, as he makes his first visit to the NAC Orchestra. We conclude with Schumann’s Symphony to his ‘Spring of Love.’ It is a work full of both joy and tenderness, and it is one of my very favourites! The NAC Institute for Orchestral Studies (IOS) was established under the guidance of former NAC Orchestra Music Director Pinchas Zukerman, and is in its 12th season. During selected main series weeks of the 2018–2019 season, IOS apprentices rehearse and perform with the NAC Orchestra. The IOS is proudly supported by the RBC Emerging Artist Project with additional support by the NAC’s National Youth and Education Trust. The RBC Foundation is proud to be the Presenting Supporter of the NAC Institute for Orchestral Studies. The NAC Orchestra gave their first performance of Chopin’s Piano Concerto No. 2 in 1969, with Mario Bernardi conducting and Witold Malcuzynski as soloist. Hans Graf was the conductor for the ensemble’s most recent interpretation of this concerto, given in 2010 with Garrick Ohlsson at the piano. 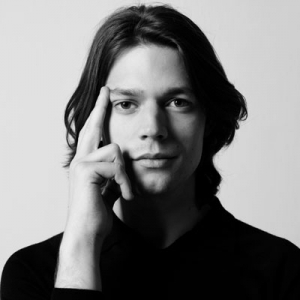 Mario Bernardi led the NAC Orchestra in their first interpretation of Schumann’s Spring Symphony in 1977, and Alexander Shelley was conductor when the Orchestra most recently played this work, in 2010. Jocelyn Morlock received her Bachelor of Music in piano performance at Brandon University, and both a Master’s degree and a Doctorate of Musical Arts from the University of British Columbia. Among her teachers were Pat Carrabré, Stephen Chatman, Keith Hamel and the late Russian-Canadian composer Nicolai Korndorf. “With its shimmering sheets of harmonics” (Georgia Straight) and an approach that is “deftly idiomatic” (Vancouver Sun), Morlock’s music has received numerous national and international accolades, including Top 10 at the 2002 International Rostrum of Composers, Winner of the 2003 CMC Prairie Region Emerging Composers competition and a nomination for Best Classical Composition at the 2006 Western Canadian Music Awards. 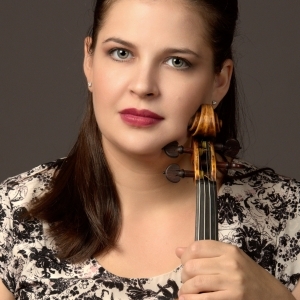 She received a JUNO Nomination for Classical Composition of the Year (Exaudi, 2011), and more recently the Mayor’s Arts Award for Music in Vancouver (2016). In 2005, she was chosen to provide the required work for all contestants at the Montreal International Musical Competition. Amore, a tour de force vocal work, went on to receive more than seventy performances and numerous radio broadcasts. In 2008, she served in the same capacity for the Eckhardt-Gramatté National Music Competition. Morlock has been the Vancouver Symphony’s Composer in Residence since 2014, following a term as inaugural Composer in Residence for that city’s innovative concert series Music on Main (2012–2014). Most of Morlock’s compositions are for small ensembles, many of them for unusual combinations like piano and percussion (Quoi? ), cello and vibraphone (Shade), bassoon and harp (Nightsong), and an ensemble consisting of clarinet/bass clarinet, trumpet, violin and double bass (Velcro Lizards). Cobalt is her third work for full orchestra. An NAC Orchestra/CBC co-commission, it received its world premiere in Ottawa in April 2009 as part of the NAC’s BC Scene Festival, with Jonathan Crowe and Karl Stobbe as violin soloists, and Alain Trudel conducting. In May 2016, the NAC Orchestra premiered Morlock’s My Name is Amanda Todd, one of four NAC-commissioned compositions that make up the Orchestra's multi-media project Life Reflected. My Name is Amanda Todd won the JUNO for Classical Composition of the Year in 2018. Also in 2016, the Vancouver Symphony premiered her Earthfall. Morlock’s first full-length CD, released on the Centrediscs label in 2014, is entitled Cobalt, and includes seven of the composer’s works. This disc was nominated for three Western Canadian Music Awards, for Classical Composition, and Classical Recording, of the Year. The composition Cobalt won Classical Composition of the Year. Here is the composer’s description of the seven-minute work: “Cobalt – the colour, the element, and indeed the goblin – has a kaleidoscopic array of associations. The element was originally named after a kobold, a mischievous and possibly evil goblin or sprite found in German folklore, for its troublesome nature. (Cobalt is poisonous, magnetic, and radioactive.) Though it is a necessary element found in both humans and animals, in large amounts it is highly toxic, and the cobalt salts used to create this vivid shade of blue in pottery or glasswork can be fatal if touched or inhaled. The luminous cobalt blue of the night sky, just before it becomes completely dark, is one of the most beautiful colours found in nature, yet it is visible only for a very short time every evening. What sustains life can also destroy it; beauty is transient and fleeting. In July 1829, the nineteen-year-old Chopin spent three weeks in Vienna. The publisher Haslinger encouraged him to give a recital, which was so well received that a second was quickly arranged, and proved equally successful. Upon returning to Poland, Chopin realized that if he were going to pursue a career as a concert pianist (a career move he soon abandoned), he would need some major display pieces of his own in his repertoire. To this end he soon set about writing the F-minor concerto, which he premiered in Warsaw on March 17, 1830 to great acclaim. Hence, Chopin’s Piano Concerto in F minor, the so-called No. 2, was actually his first, preceding the E-minor concerto by about a year. The reversal in numbering came about because the orchestral parts of the F-minor concerto were lost before it was published, and by the time they were recopied, the E-minor concerto had been published. The enduring appeal of a Chopin concerto lies in the piano writing – sweetly lyrical melodies, a quality of intimacy, the expressive nuances of colour and dynamics, the improvisatory character provided by such techniques as rubato, arpeggios and delicate ornamentation of the melodic lines. The first movement’s two main themes are stated in the opening orchestral exposition – a strongly rhythmic idea with a quasi-military flavour (a rhythm also found in so many Italian operas of the period) and a more lyrical, bel canto subject announced by the woodwind choir, the first of several felicitous uses of woodwind colour in this concerto. The Larghetto is a nocturne of heavenly beauty and midnight poetry. The central episode of this ternary form (ABA) movement momentarily disturbs the placid waters, but the mood of quiet reverie is restored well before the movement ends. The finale is a rondo imbued with the spirit and rhythm of the mazurka, a Polish country dance in triple metre with a characteristic accent on the third beat. After a decade (1829–1839) of writing almost exclusively for the piano and a year (1840) of concentration on the Lied, Schumann turned in 1841 to orchestral music for the first time. (We can discount an early, abortive attempt at a G-minor symphony in 1832.) He sketched the entire symphony in a mere four days, from January 23 to 26, and completed the orchestration a month later. The first performance took place on March 31 with Mendelssohn conducting the Leipzig Gewandhaus Orchestra. One cannot fail to question the appellation “Spring” for a work composed entirely in the dead of winter. However, the vernal association in Schumann’s mind was not a calendar season but rather a personal, emotional springtime – a season of romantic ardour, high spirits and creative exuberance. He had married Clara Wieck just four and a half months before he began work on the symphony. A further, more tangible source of inspiration is found in a poem he had read by Adolf Böttger. The last line reads: “Im Tale blüht der Frühling auf!” (In the valley spring is blossoming forth! ), the words of which correspond to the opening fanfare of the symphony. 4) Spring in Full Bloom. However, when the work was printed, Schumann deleted the associative headings, presumably because he did not wish his listeners to approach the music with strong programmatic preconceptions. The first movement is introduced by the fanfare mentioned above. Schumann asked that it be played “as though it were from on high, like a call to awakening.” It serves as the principal theme of the movement’s main Allegro section as well, and its energetic, rhythmic pattern remains prominent throughout. The lyrical second theme is heard in the woodwinds. The Larghetto movement has the quality of a tender cantilena. 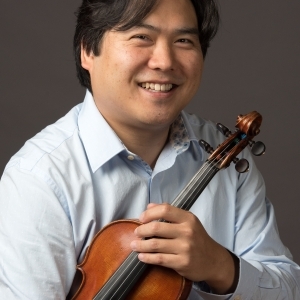 Violins introduce a long-breathed, gracious theme that might well deserve the description “of heavenly length” (thus returning the compliment Schumann paid Schubert’s Great C-major symphony). When the theme returns near the end of the movement, it is rescored for solo horn and oboe, a particularly felicitous blending of tonal colours that Brahms was to exploit also in more than one passage in his symphonies. The Scherzo includes two Trios which contrast with each other as well as with the adjoining Scherzo. The first of these Trios is of unusual length – 182 measures in relation to the Scherzo, which is only 96 measures, including repeats. With scarcely a pause after the Scherzo, the finale is heralded by another fanfare whose motif returns in various melodic and rhythmic guises throughout the movement. A sprightly first theme in the violins and a vigorous second theme for woodwinds and strings in the minor mode constitute the movement’s main musical building blocks. A brief but highly imaginative episode is the dreamy, sylvan evocation created by two solo horns followed by a brief flute cadenza that leads into the recapitulation. The symphony ends with joyful abandon and a sense that all is right with the world.